As part of a school project this year on inventions, Tigger was tasked with researching an invention and producing a poster, booklet or video. Whilst many of his classmates researched electricity, the telephone etc. Not Tigger. He opted for an invention close to his heart – LEGO! 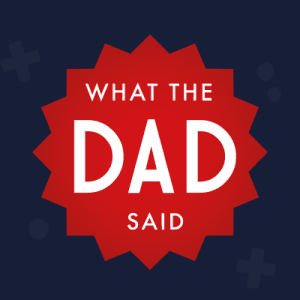 After researching the history of the famous LEGO brick, who invented it, how it is made, and just how popular it is. he made a video for his classmates which landed him a certificate for his hard work. 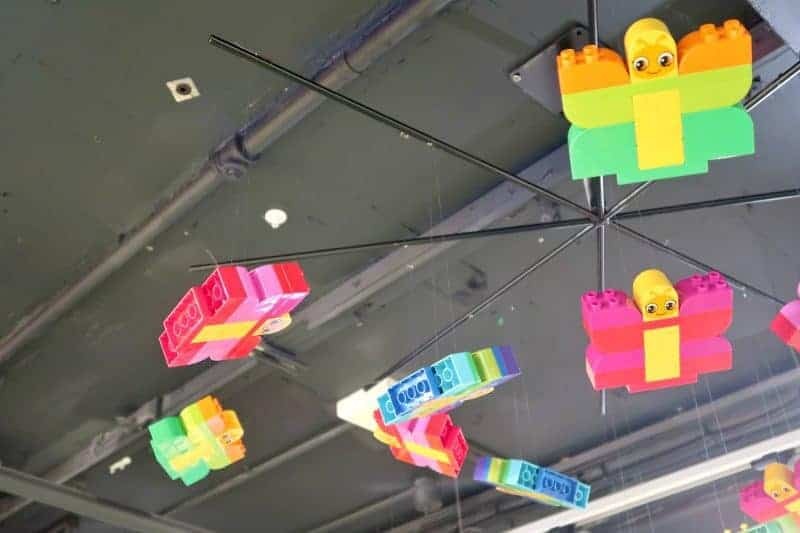 Celebrating the 60th anniversary of the iconic LEGO brick, Hamleys and LEGO have built a brand new interactive and engaging area for families to enjoy on the 5th floor of their Regent Street store. The fun starts as soon as you pass through the gates protected by the LEGO Royal Guards. Attending the opening of the LEGO at Hamleys new area this morning. The look on Tigger’s face as we began to see the area come into sight was priceless. 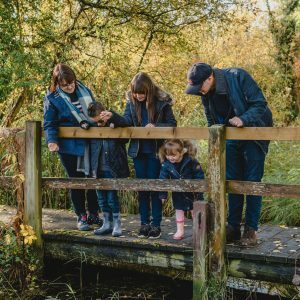 We were treated to a look around the new area before the official opening took place and the public received their first glimpse at the area too. 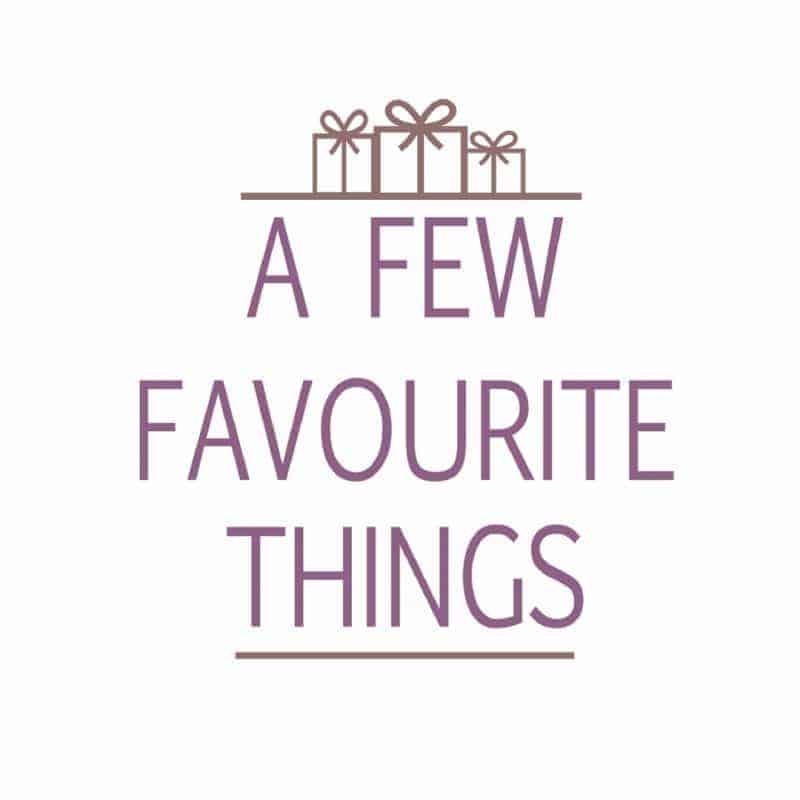 With a range of activities and interactive features to make the shopping experience fun for all ages. Walking through the gates to find an impressive LEGO Duplo building tree area. Surround be large minifigure characters which Piglet loved walking around to give hugs to. 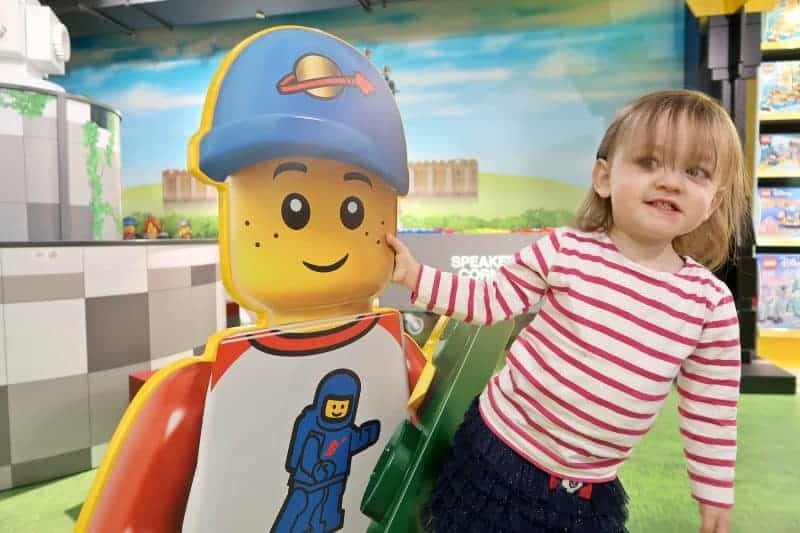 The building area is perfect for keeping little builders occupied and of course, introducing them to the wonderful world of LEGO. 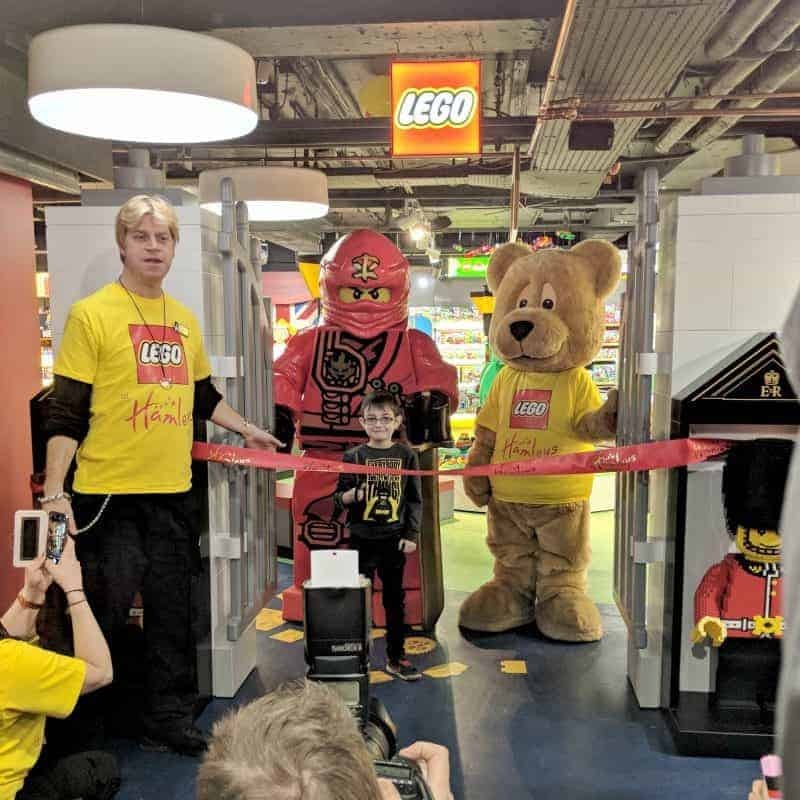 For the official opening LEGO Ninjago Kai and the Hamleys Bear made a visit. With some assistance needed for cutting the ribbon, Tigger stepped up and opened the new area. To say that all his Christmases had come at once would be somewhat of an understatement. I don’t think he has stopped smiling since. 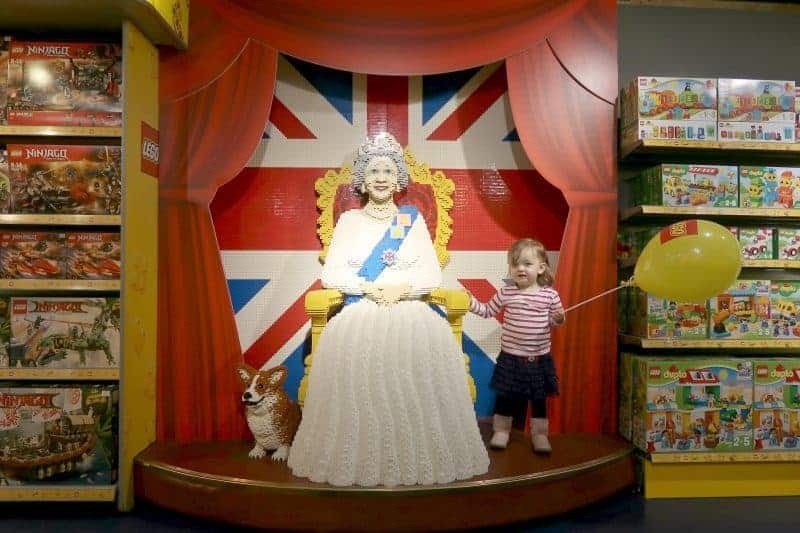 Taking the children to visit the iconic Hamleys store is just as much about the experience as it is about finding the perfect toy to purchase. 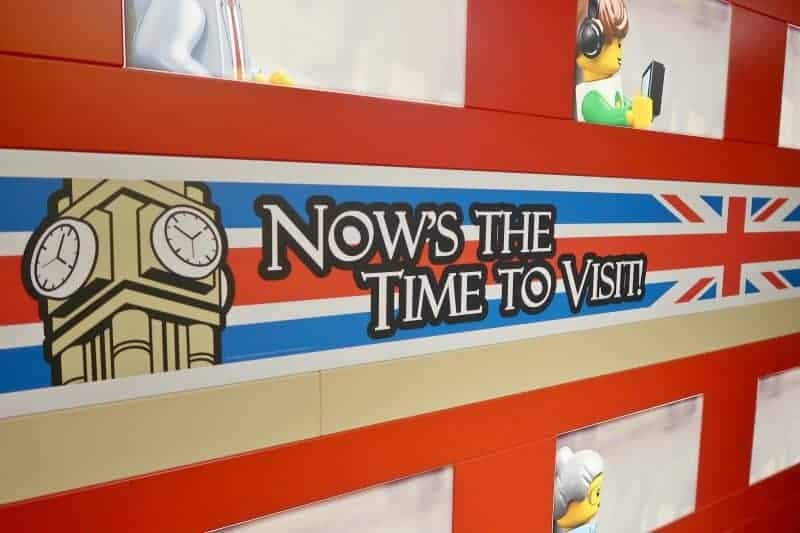 The new LEGO area takes this experience to a whole new level actively encouraging families and children to interact with the displays, build creations and take photos with the upscale LEGO London theme builds. 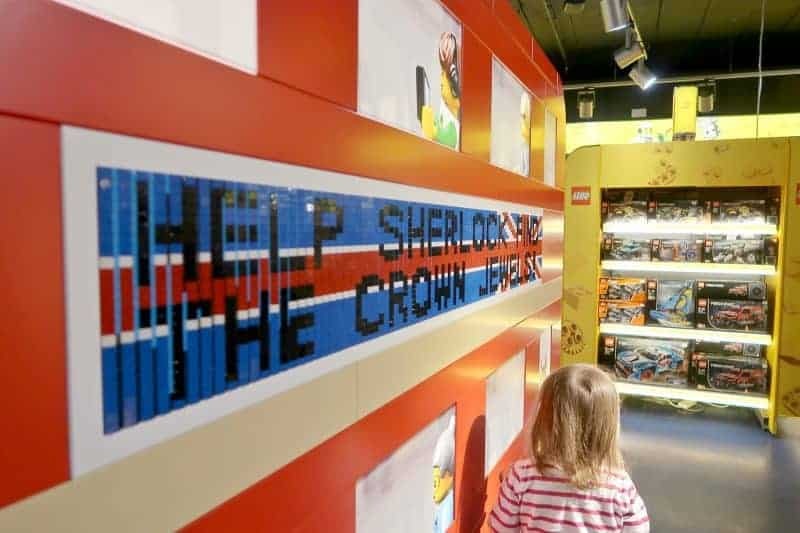 Solve the mystery of the missing crown jewels – Take a hunt around the LEGO area to find to find the LEGO crown jewels with the eminent Sherlock Holmes. Discover the clues and search for answers as you make your way through the displays to solve the mystery. Minifigure Me! – Try your hand at the new high-tech device that will scan your hand and figure out which LEGO Minifigure you are. 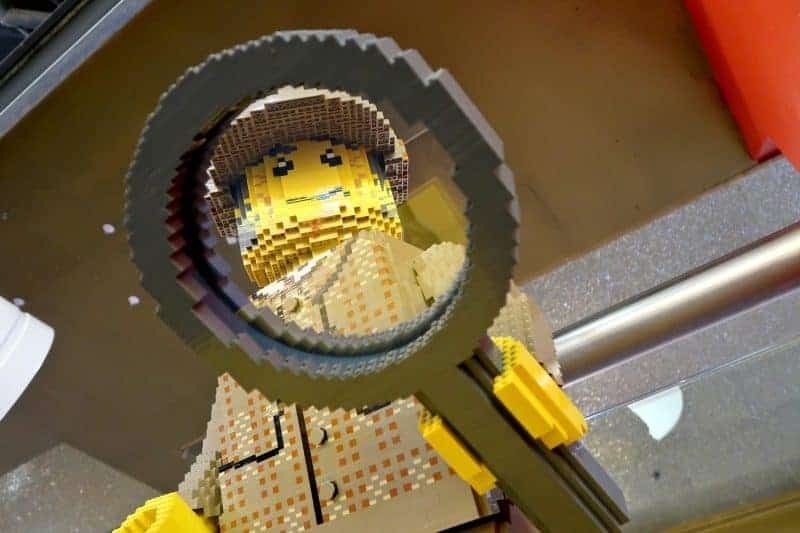 LEGO London – As you walk around the LEGO are be sure to look high and low to see if you can catch sight of all the upscaled LEGO London themed builds. Playtime in the park – A London park themed playground that offers families an opportunity to build LEGO together. What LEGO will you take home? With bundles of exciting LEGO products to purchase across the range from Duplo, Juniors, Friends, Ninjago, City, Star Wars and many more – you might find it difficult to decide upon what you will take home with you. May I suggest one thing you need to add to your shopping basket… The LEGO Hamleys Royal Guard minifigure! Wow, lucky Tigger, what a fabulous experience. I love LEGO and Hamleys, what a great combo! I’m hoping to pick up a guard next time we visit. Hamleys is just a kids paradise isnt! I love visiting with the children. 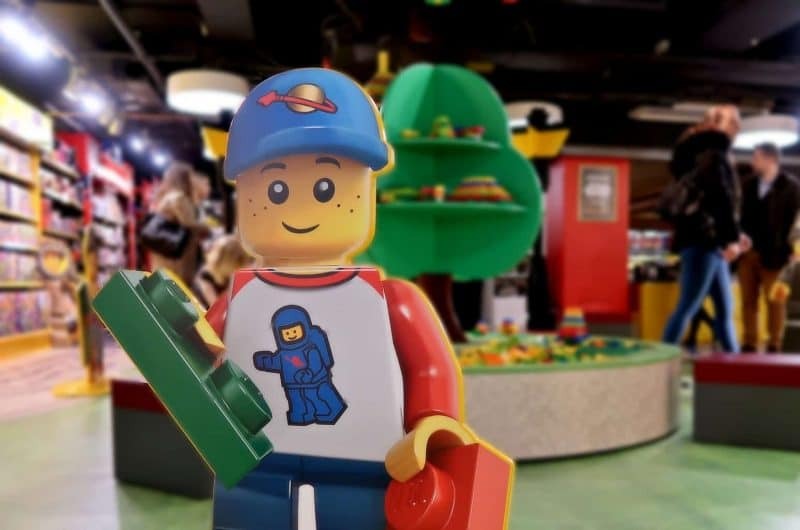 Oh we absolutely love LEGO and this sounds like Hamley’s have made it well worth a visit. What a great idea for Tigger’s topic. 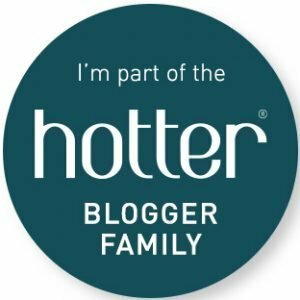 Thanks for joining in with #LikedandLoved!